Whilst Water-Gates are regularly used for flood control, they can also be used to control chemical spills both on land or in water. The barriers have been tested by an independent professional chemist using commercial solvents. The WL Water-Gate barrier can be used on land to control chemical spills or pollution. 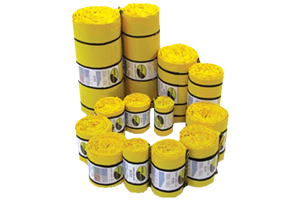 The barrier can effectively divert, contain or control polluted water or chemical spills. The WA and WT Water-Gates are designed to be used in watercourses, and can be used to control or contain pollution. This spill response equipment combines simplicity, robustness and reliability. 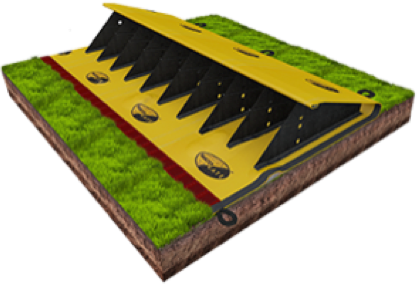 It can be used to block or dam streams, small rivers or ditches for spill response and also to create water reserves in watercourses. 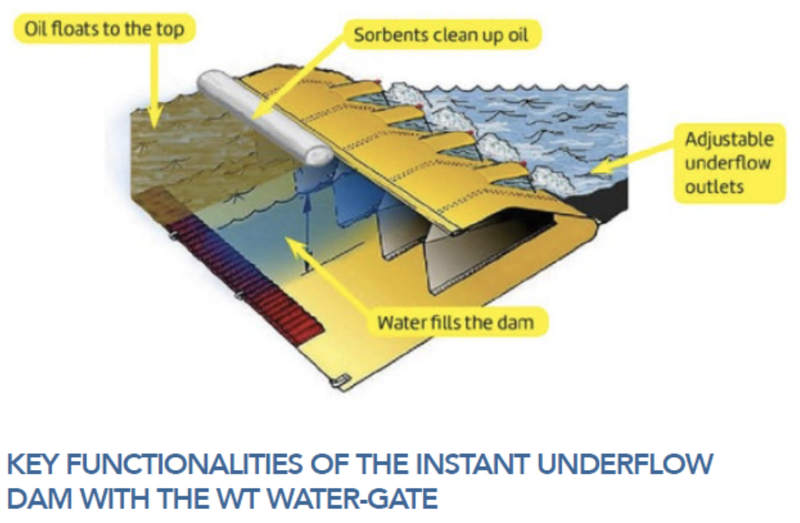 The WT barrier has release holes to allow pollution to be controlled in watercourses, whilst allowing fresh water to flow. 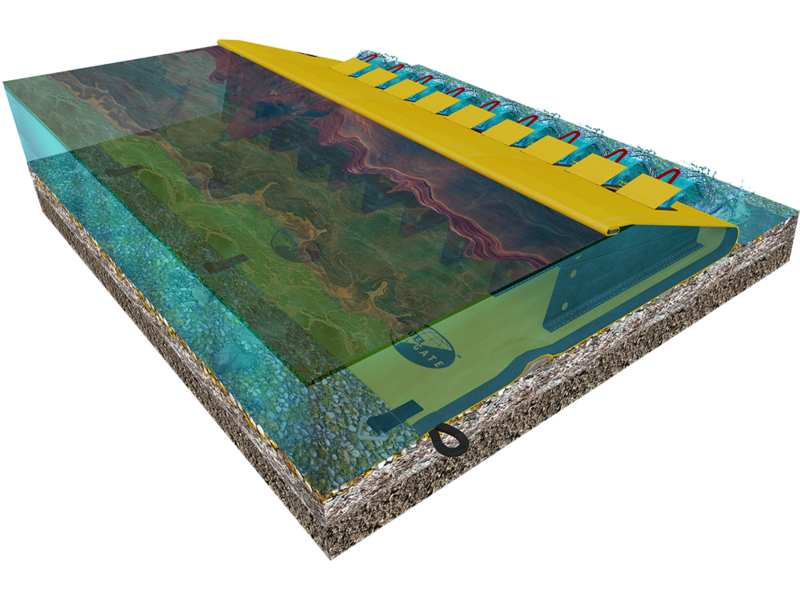 It can be used in conjunction with oil sorbents to control spills. Spill response incidents in shallow water present difficult response recovery conditions. With the Water-Gate, a watercourse of a few inches in depth is conveniently transformed into a deeper and calmer response zone. A cost effective and convenient operation can be achieved by using the Water-Gate barrier in conjunction with skimmers, sorbents and vacuum units. The Water-Gate can be used in conjunction with a Spillboa sorbent boom to contain pollution. Whilst the Spillboa is mostly used with the WT barrier, it is also compatible with the WA and WL Water-Gates. The Spillboa is a compact flexible boom which can be deployed in seconds. 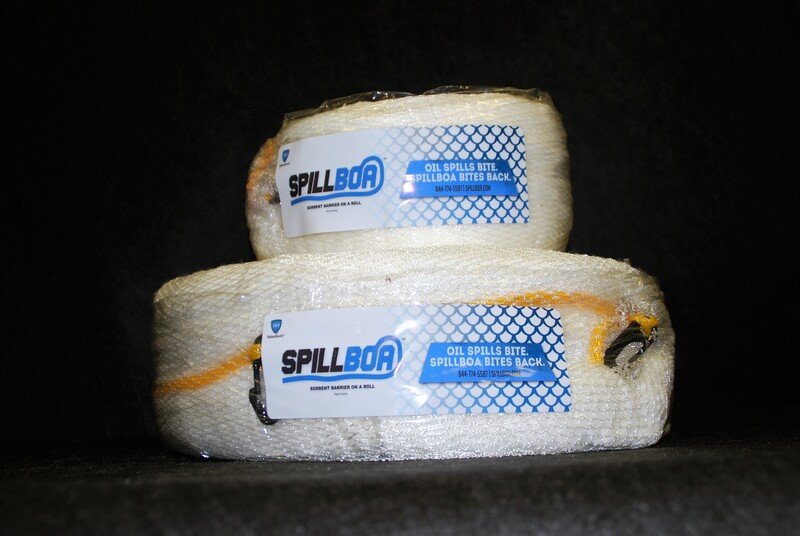 The Spillboa can be clipped to the top of the barrier to control oil spills. Oil floats to the top of the water, and the Spillboa floats to hold back and absorb oil. Uses the weight of the water to hold it back! Brand your barriers – Thanks to Megasecur International’s continual investement, we now have the ability to brand customers’ barriers with company logos. Please contact us for a quote for this. Water-Gate barriers take up limited storage space and can be loaded into a vehicle for transport to site. Singular barriers come in a roll for easy storage and quick deployment.